The Sea of Galilee is called the “lake Gennesaret” by Luke (Luke 5:1). The area on the northwest corner of the Sea of Galilee is called the “land at Gennesaret.” In the view below we see the land of Gennesaret and the Via Maris. The travel route here leads to the Beit Netofa Valley and the sites of Khirbet Cana, Sepphoris, Nazareth, Yodfat (Jotapata), and Ptolemais (Akko). Yodfat was fortified by Josephus during the Jewish revolt against Rome. Josephus, commander of the Jewish rebels, surrendered to the Roman Emperor Vespasian at Yodfat. 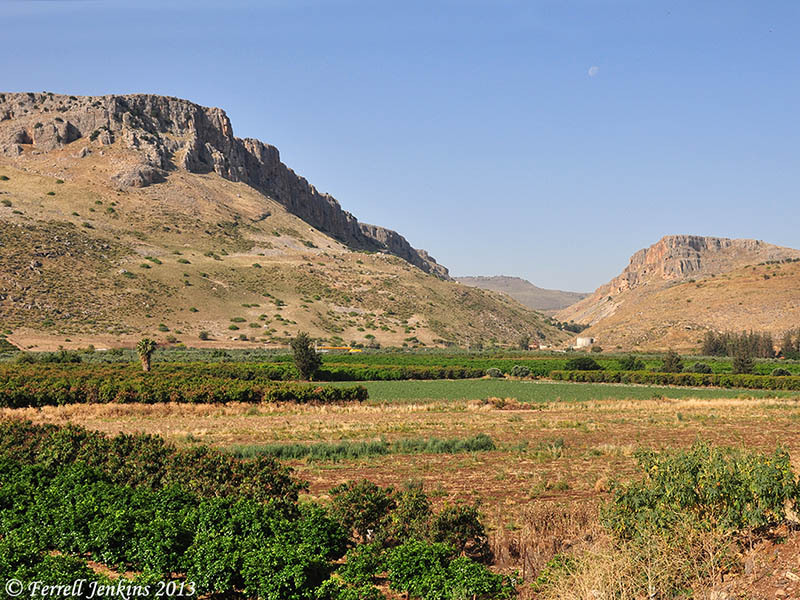 Mount Arbel and the Plain of Gennesaret. Photo by Ferrell Jenkins. Many of the miracles of Jesus were performed in this area.